In today’s age of million-dollar-per-treatment drug launches and emerging gene therapies, plans need to be equally innovative in how they manage medications for their members. 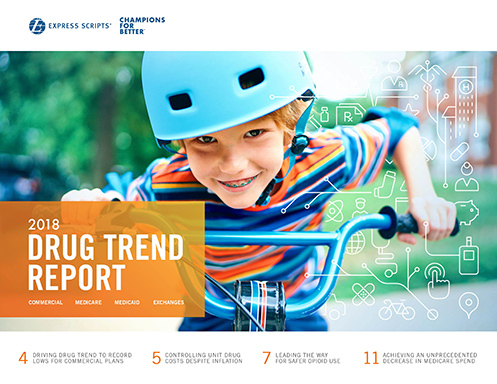 For Express Scripts in 2018, our innovative approach resulted in 0.4% drug trend for our commercial plans, the lowest annual increase in drug spending in 25 years. In fact, drug spending decreased for 50% of commercial plans. 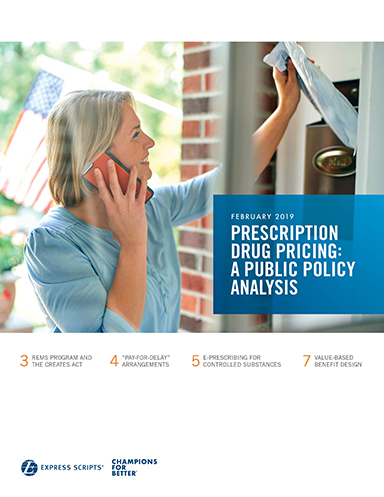 Discover more data and insights now with easy access to the Express Scripts 2018 Drug Trend Report and companion Public Policy Analysis.